A bowl of soup, half a round of sandwiches, any regular hot drink and a scone with butter for £8. Go to the bottom of the page to claim this offer! Above our working dairy sits a quaint and truly British coffee shop. Step in from the surrounding Northumberland Countryside to enjoy coffee, lunch or afternoon tea. Every morning we are up bright and early baking the day’s homemade scones and fancy cakes. 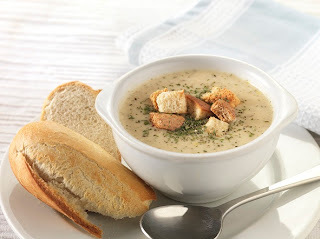 Or why not try our much loved cheese soup, handmade with our own cheese. We also have our cheese soup and scones available for you to take away. Our friendly staff look forward to welcoming you in from the cold and offering you the chance to try our cheese. Whatever your tastes, our passionate team will be able to point you in the right direction and help you through the tasting notes. We can also advise you on complimentary cheeses for you cheese boards, wine matching and more; just ask! The Northumberland Cheese Company Ltd.